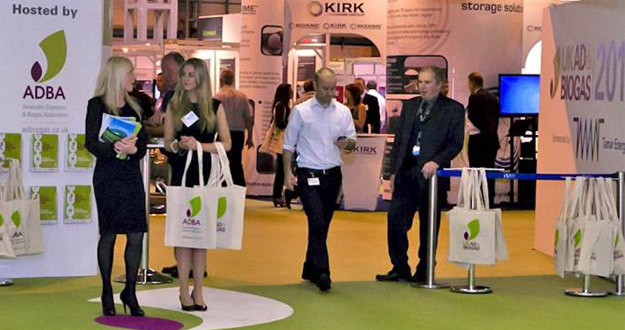 A delegation of four key staff members was dispatched in July to the much-anticipated UK AD & Biogas exhibition at Birmingham’s NEC. It was a very intense but productive couple of days, where new alliances were formed and existing relationships strengthened. The show has grown tremendously in size and scope over the past twelve months and has a real international flavour, underlining the increasing importance of renewable resources in the ever-expanding worldwide energy market. Plenty of new and improved technologies were on display and AJTF’s biogas division received many plaudits for its pioneering gasholder designs and manufacturing techniques. “It was incredibly encouraging to see the growth we have experienced over the past year reflected in the grand scale of this year’s AD&B exhibition. The technology is advancing at a tremendous rate and market awareness is growing with it. Our strategic alliances with various partners ensure that AJTF’s biogas division remains at the forefront of anaerobic digestion plant design, production and installation. “Next year’s show promises to be even bigger, bolder and more fascinating than ever before, and AJTF will be there in force promoting our ground-breaking British designs and innovative manufacturing techniques”.